Stress, frustrations, insomnia, and psychosomatic diseases which have become a part of modern man’s life and mental stress is the price, the man is paying today for becoming civilized. The higher standard of living, higher education, higher incomes and more skilled occupations are related with higher level of stress. Executives, professionals and people working on jobs with deadlines are under stress most of the time. It is true that some people are more prone to suffer from the effect of stress, but no one is unaffected to it .Only degree of stress and anxiety varies. Yoga Nidra is kind of deep sleep in which you don’t loose consciousness. It is a more efficient and effective form of psychic and physiological rest and transformation. Yoga Nidra is more and more becoming popular and is now being approved by doctors as a preventive and curative therapy in stress related diseases. Yog-Nidra releases all types of tensions: muscular, emotional and mental. When muscular tensions are released, it heals nervous system and endocrinal imbalances. When emotional tensions are released, we come out of all dualities like love-hate, pain-pleasure, which are difficult to release.. Mental tensions are a result of excessive mental activity. 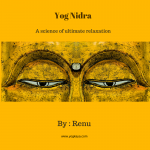 Yog-Nidra is a science of relaxation which gives us an opportunity to understand our mind and cuts through its blind conditionings which enables us to submerge deep into the realms of sub-conscious mind so releasing all tensions. 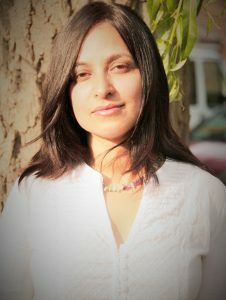 I am Owner and Founder of Yog Kaya ,Health and wellness coach ,Yoga teacher. A strong healthcare services professional with a Master’s degree focused in Yoga and therapies. Philosophy and history of Yoga are my areas of interest. I love sharing my knowledge gathered through years of practice and personal study, with people . 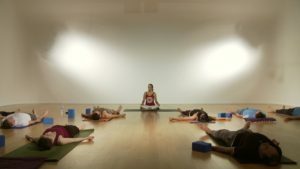 Do you do Yoga Nidra teacher training? 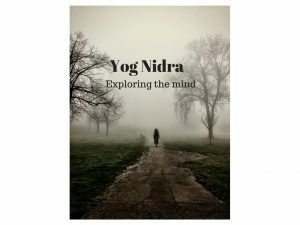 I’m very interested in learning to help others discover Yoga Nidra.